Columbia University Libraries has launched a new version of Academic Commons, the digital research repository for Columbia University and its affiliate institutions. With an updated design and an improved experience on mobile devices, Academic Commons now enables users to access impact information at a glance with a dashboard that features download statistics for each of the user’s shared works. Users also have the option to assign a Creative Commons license to enable other researchers to reuse and remix their research (with attribution, of course). Columbia-affiliated researchers and scholars can use Academic Commons to provide (or meet funder requirements for) access to all of the digital formats of their scholarship and research, including datasets, conference papers, and music, to anyone with an Internet connection. Works shared through Academic Commons are openly accessible online and discoverable in search engines. Further, digital research materials uploaded to Academic Commons are preserved as part of the Libraries’ long-term digital storage system and assigned a DOI to encourage citation. Academic Commons provides access to over 25,000 works of Columbia research and scholarship, including the full text of all doctoral theses written at Columbia and Teachers College since 2011, the archives of numerous Columbia-based journals, and the work produced by six University centers. Built on open-source software, it is Columbia’s truly free and open solution for access to, and use of, new knowledge and information connected with Columbia. 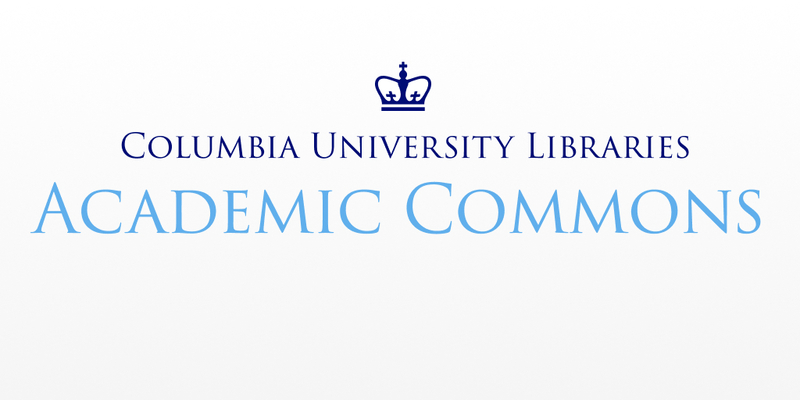 Departments, centers, programs, and individual scholars at Columbia and its affiliate institutions are welcome to e-mail ac@columbia.edu to learn more about the Academic Commons program and about how the Columbia University Libraries staff can help you to participate. Academic Commons integrates with a number of web sites and applications as well: Ask us about our API! This entry was posted in News and tagged Academic Commons, institutional repository, open access, open-source software on August 22, 2018 by al3655.